Waking up in Trumpland: The New USA? San Francisco, Jake was at the polling station at A La Turca restaurant on Geary Street answering questions and shepherding voters to their respective booths. “I need to speak to you a hundred feet from the polling station.” Expressing overt political opinions, be it by insignia, shirts or speech within a certain proximity of the voting station is frowned upon, an odd state of affairs given this country’s free speech protections. The point here is impartiality. Gravely, Jake claimed to be ashamed. Blushingly ashamed at the choices on the electoral platter for president, but still hopeful that the less wicked option would get by. “Hillary Clinton should still get across the line. She is trained, experienced.” In some countries, having a politician without such pedigree is revered, a sign of not being tainted. Such a resume shows public service outside the machinery of politics. A fight breaks out just in front of the polling station. Tempers are frayed, and here, the seething Chihuahua of a homeless lady, strapped to her wheelchair, attacks another being held by a scruffy man having his glass of noon day wine. They promise vengeance on each other. Jake urges calm. The sidewalk had to be kept clear. For all of that, there is faith on the part of this volunteer. (Can there be anything else?) The system will work. The ballots will be counted properly and care was being taken. The United States was fortunate to be the country it was. Even gathering opinions from watering holes during the day – a proudly transgendered Rochelle, several sheets to the wind with vodka and ice at Emperor Norton’s Boozeland – claimed that Clinton would romp in. “There are no hidden Trump supporters; there are many hidden Hillary supporters.” All that unnecessary fuss and lunacy might have made waves in some way, but surely it would not translate into electability? 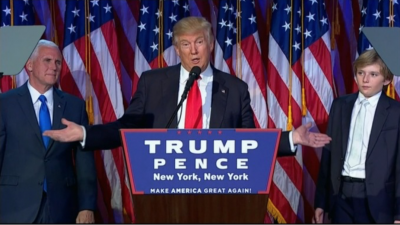 As the poll began closing to the east of the country, and the counting began, the numbers squeaked towards Trump gains. The Democratic temper of the city seemed a bit troubled, but not as yet flustered. The celebration parties across the San Francisco and Bay Area were going to be overwhelmingly, and fatally, optimistic for Clinton. As with so much in her campaign, the sense of entitlement prevailed. The election, for them, was already in the bag before the first ballot had been cast. One particular party, held at Brigade at its open plan office far more reminiscent of a warehouse, promised to be typical. It proudly claimed to be responsible for the “world’s first voter network”, an effort to take back a thinning democracy. Ironically, it was the very thing that Trump, the target of their ire, was touting: political reclamation. The event featured garish badges mocking Trump, his hair, his spray tanned face. It was also ground zero for Clinton supporters, filled with the new breed of technology wizards who had found a home in the city. Not a single voter from the rust belt in sight here. These wizards had formulated various tactical approaches to those attending the event. Pizza would be brought out at stages, and microwaves could be used. Plentiful, though atrocious beer, a vinegary slush, was available, and there was one bar man worked off his feet in the cocktail section. The audience gradually settled down, and the smell of pizza crust and booze gradually mingled as several stations broadcast the results. With each projected win for Clinton came a bellow and yelp. But the Trump Train, having started fairly smoothly with the first counting, kept going. The gains in time became an avalanche where it mattered. The mountain was being climbed and The Donald was winning the very states where he should have perished in. As with Al Gore in 2000, Clinton was winning more popular votes, but not in the areas that mattered. The Donald had been on message in places where the Clinton campaign was disregarding and disingenuous. The perversion that is the Electoral College did the rest, netting him 279 votes with 47 percent. Clinton received 48 percent of the overall popular vote. The Democrats also received a beating in both the Senate and House of Representatives, meaning that Trump’s only obstacles, though formidable ones, will be coming from a party he has never had much time for. The GOP for him was never an ideological badge, but a form of necessary camouflage. This victory is certainly not a Republican one so much as one for Trump. The speech concluded, the trash men converged, swooping on the detritus of what had been a desperately sad party. Be they the forgotten, or the invisible, the voters who haunted this gathering were the ones who never featured before the vast, dynastic Clinton machine. They were America’s Brexiteers, yearning for nostalgia.